So… D.E.G.F. is my new acronym (DEGF)! Say the letters by name “Dee. Eee. Gee. Efff.” Any ideas what it might be for? I’ve been having a think and checking out the authenticity of the acronym and it appears this one isn’t taken! @ 17/01/15. I’m hoping to use it a lot and make lots of new DEGF recipes! Feel free to use it where necessary! I’ll give you a clue! The ‘F’ is for ‘Free’ . . . what could D.E.G. be? Anyway, my recipe! After much research I have finally made a scrummy healthy chocolate cake! It needs a bit of tweaking but version 1 is still yummy! Here’s a sneak preview… recipe to follow soon! 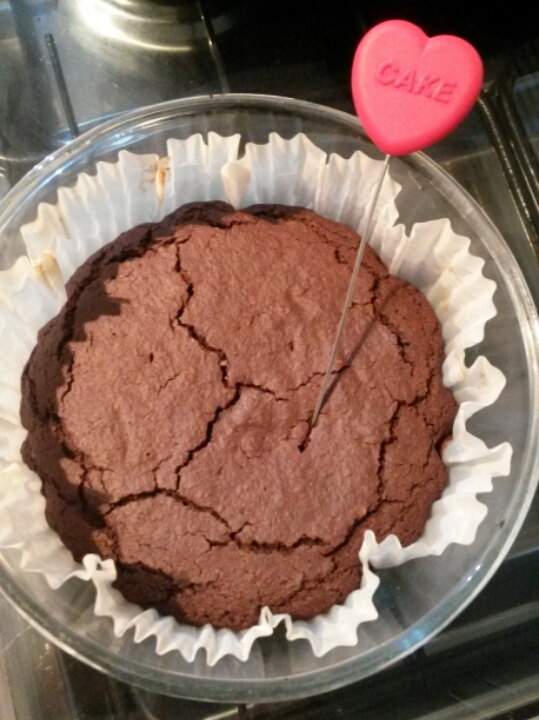 This entry was posted in cake, DEGF, dessert, free from, snacks and tagged almonds, chocolate cake, chocolate recipe, dairy free, DEGF, dessert, egg free, gluten free, healthy snacks, raw cocoa, vegan. Bookmark the permalink. ← Chick Pea Curry in a Hurry! I’ll post the recipe soon… there’s not much left now! 🙂 Cake for breakfast! Yumyum!